Shasta Lake on the drop. 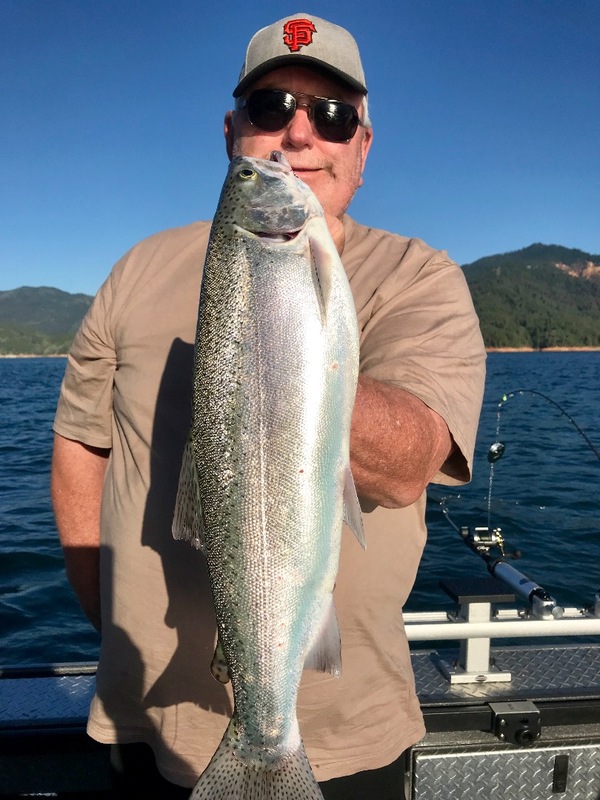 Today we fished Shasta Lake again for rainbow trout. We're still catching quite a few fish, but its been a little slow for the bigger fish I'm used to seeing in the net every week. I have seen a few big fish coming in on a few other boats, but its been the exception this past week. The lake is heating up and the surface temps are seeing the 80 deg mark during these hot days we're having. The 60 deg water is down at about 50' and thats where we're seeing a lot of fish and getting most of our bites. 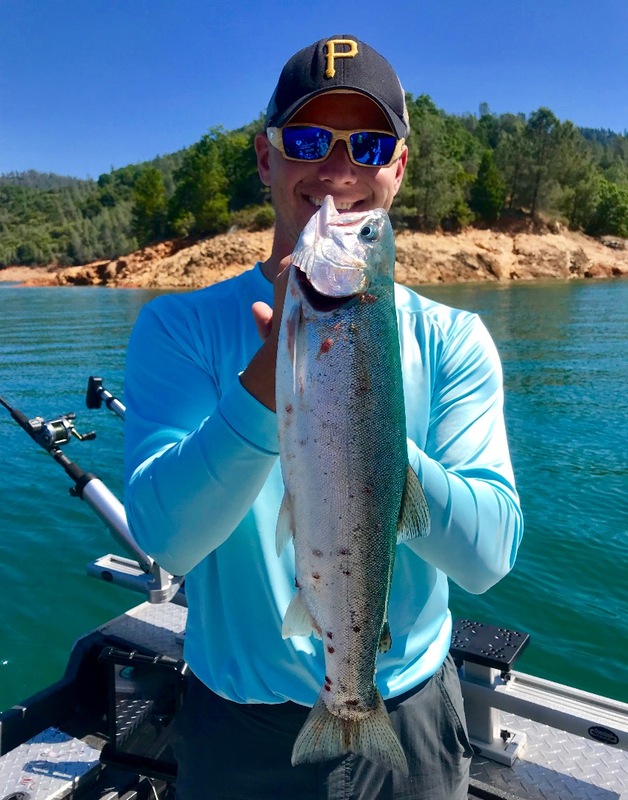 If you have the proper equipment, go down to 100' and you'll see some bigger, cleaner specimens coming up from the dark green Shasta water. 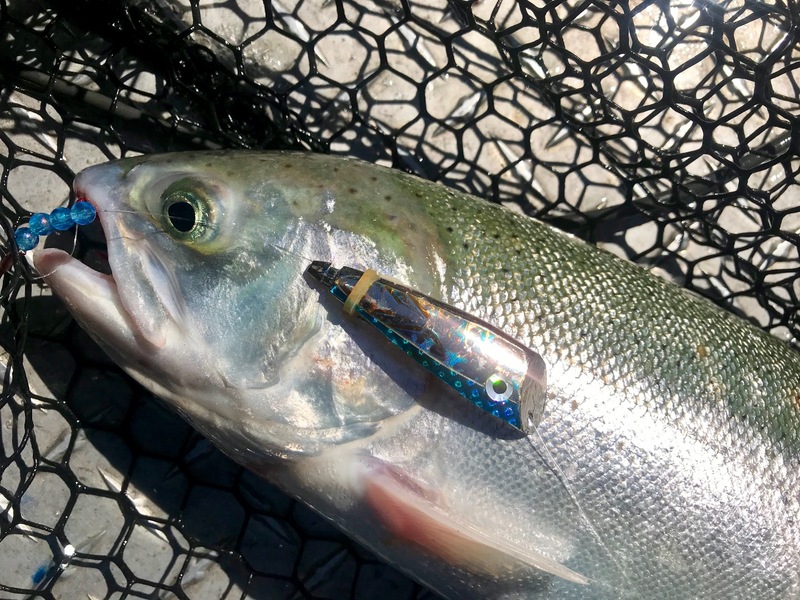 Small spoons or shad cured in Pautzke Fire Brine is getting most of the bites in my boat. Every fish we're processing is of exceptional quality and their meat is a brilliant orange tone. 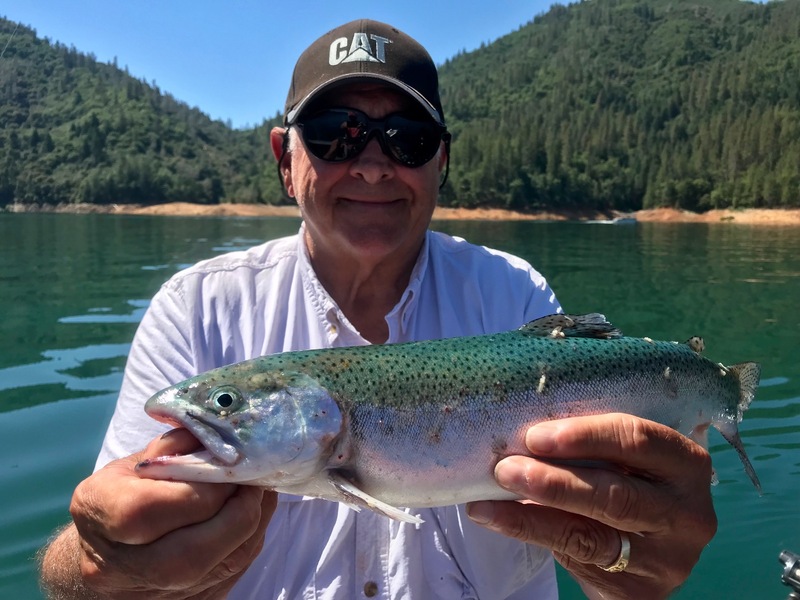 "Some of the best eating trout we've had", explain some of my clients. The shad have yet to push out of the coves and off the shorelines into deeper water, but when they do, expect the fishing to get even better! Until then, we'll just keep on top of the bite we have now and hope it holds up through the upcoming bright moon phase. I expect to see some big numbers coming in in another two weeks. 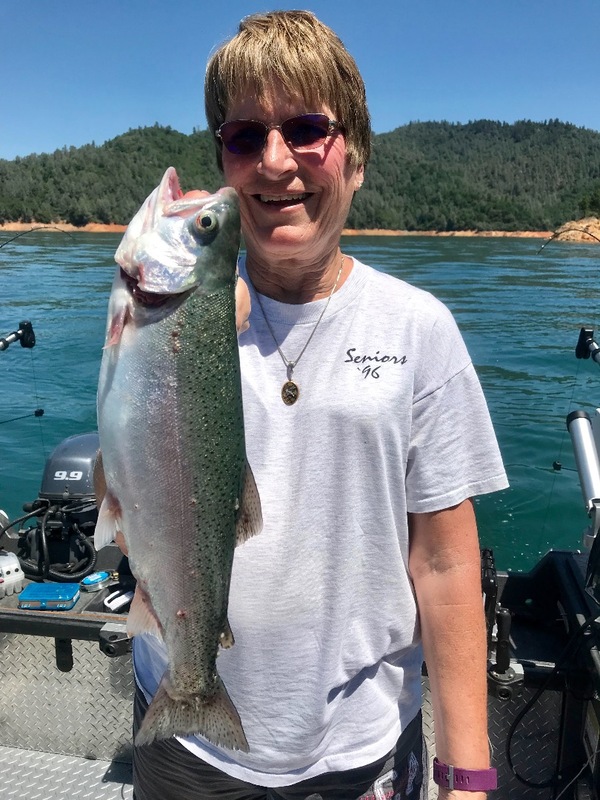 Its rainbow time on Shasta Lake!